BU has added a sixth forward to its 2018-19 recruit class. Mark Cheremeta, a 5-11, 179 lb. left-shot from Parkland, Florida--born in Belarus--, comes off a strong season with the Islanders Hockey Club’s top-level NCDC team, tying for the team lead in scoring with 59 points (18G, 41A) in 50 games with six game-winners. He also tied for third in league scoring and added five points in the playoffs as IHC claimed the league championship. Cheremeta had previously been committed to Vermont for 2019-20. Two months ago, he was selected in the third round of the USHL Phase 2 draft by Sioux Falls and recently participated in the Stampede’s main tryout camp. New England Hockey Journal’s Jeff Cox reports that “Cheremeta has improved significantly over the past year. 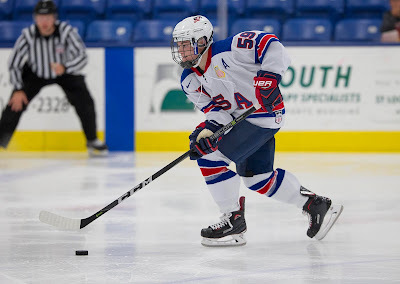 He was the best player in Sioux Falls Main Camp.” A week before Cheremeta switched his commitment to BU, Cox tweeted: "Vermont commit Mark Cheremeta has turned into a legit pro prospect after 2 seasons with @islandershc in @USPHL." In 2016-17 Cheremeta scored 35 points for IHC’s Premier team, helping to lead them to a Dineen Cup title. 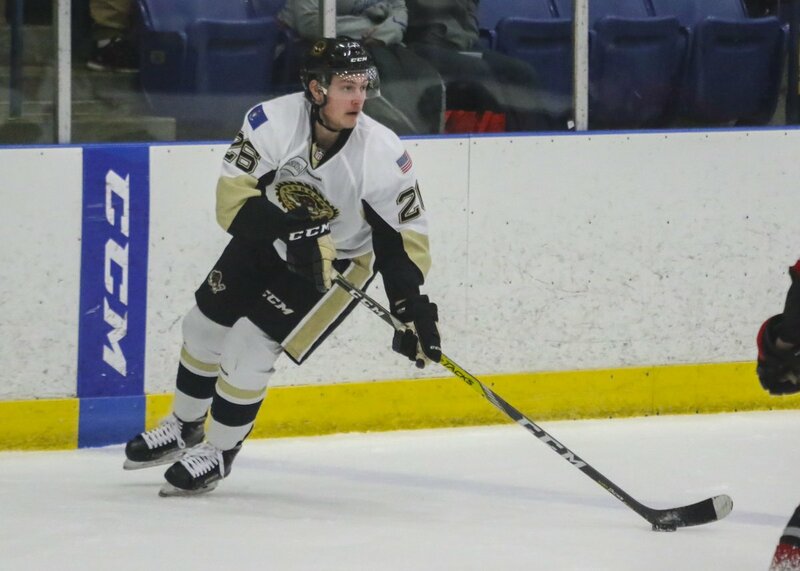 He also played three games with USHL Muskegon, scoring one goal. Following that season Cheremeta was invited to the Florida Panthers development camp (video/interview) and two summers ago, he participated in USA Hockey’s Select 17 Development Camp. The other forwards in BU's 2018 recruit class are Joel Farabee, Jake Wise, Jack DeBoer, Matt Quercia and graduate transfer Max Willman. 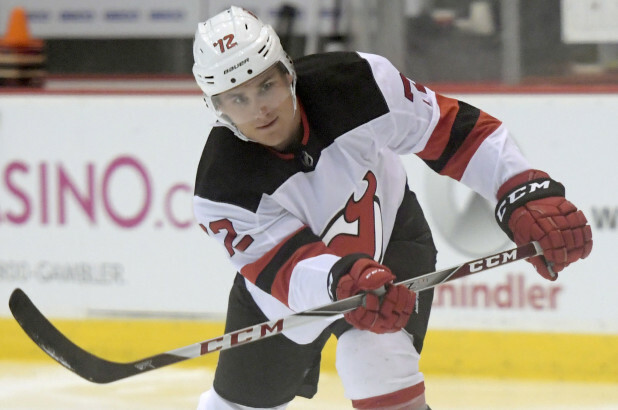 Senior Bobo Carpenter (#72) displayed his shootout moves in Devils' development camp (video) this week. Carpenter, co-captain of this season’s Terriers, was in his second year at Devils’ camp. Earlier this month, he was at Islanders development camp. ● NHL.com/avalanche Bowers aiming to show his skill. We liked Shane Bowers in the #NHLDraft, and now we have him. 2019-20 recruit Trevor Zegras discussed his U17 season and the step up from the prep ranks where he had scored 42 points in 28 games for Avon Old Farms. He was third in scoring on the U17s with 59 points (20G, 39A) including six points in six games at the World U17 Challenge. Former Terrier goalie Connor LaCouvee has signed on with the ECHL Maine Mariners, an affiliate of the New York Rangers. LaCouvee played three seasons at BU and was a graduate transfer at Minnesota State last season, where he rang up a 1.80 GAA and .914 save percentage. Former Terrier Chris Bourque has signed on with the Islanders’ AHL affiliate in Bridgeport following many years with Hershey. Playing with the Bears, he won three Calder Cups, led the league in scoring twice and was league MVP in 2016. Bourque is the all-time leading AHL scorer. Last season, he played for the U.S. Olympic Team in Pyongchang. ● Connecticut Post: Sound Tigers sign five, including Bourque brothers.